Utopia is an Australian 30 minute scripted comedy television series, which kicked off on August 13, 2014, on ABC and is broadcast every Wednesday at 21:00. The show is currently in its 3th season. ABC has officially confirmed the renewal of Utopia for Season 4. The exact release date is yet to be announced so far. Sign up to track it down. The multi award-winning satirical comedy about a group of people charged with building this nation one white elephant at a time. 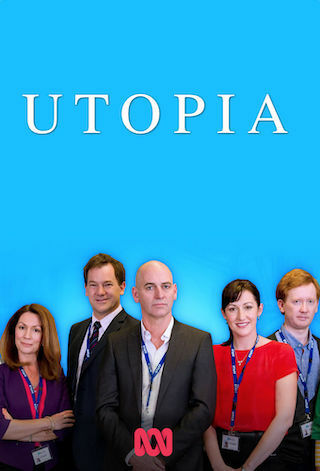 Utopia, Series 4 Set inside the offices of the “Nation Building Authority”, a federal government organisation responsible for overseeing major infrastructure projects, Utopia explores that moment when bureaucracy and grand dreams collide. It’s a tribute to those political leaders who have somehow managed to take a long-term vision and use it for short-term gain. A Working Dog Production in association with the ABC.